Car makers and several tech firms are racing to develop autonomous driving technologies, which are widely expected to shape the future of private and public transportation. 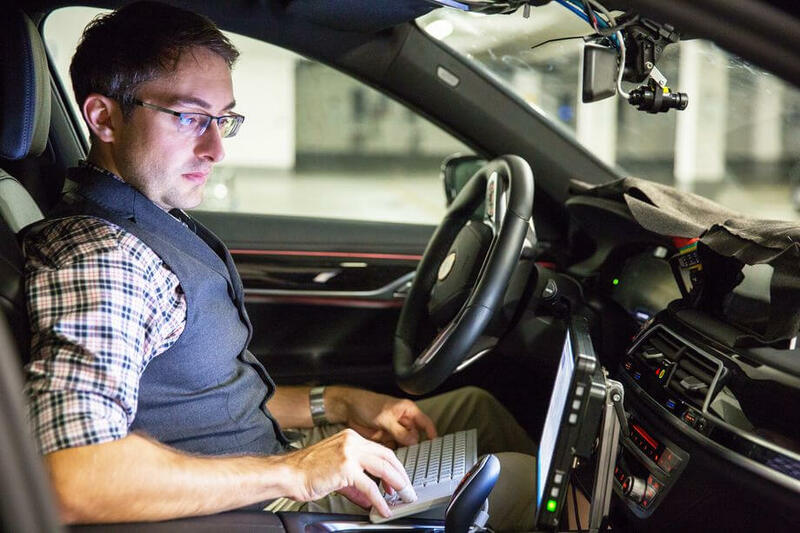 Back in June last year BMW, Intel and machine-vision technology company Mobileye announced a joint project to deliver a flagship BMW self driving car by 2021, and now they’re sharing a little bit more on their roadmap. Yesterday at CES the group revealed plans to deploy about 40 modified BMW 7 Series sedans for testing on public roads in the U.S. and Europe by the second half of 2017. The goal is to apply the gathered data not only toward producing BMW’s self-driving vehicle — codenamed iNext — four years from now, but to develop “scalable architecture” that can be adopted by other vehicle brands as a turnkey option instead of creating all of their own autonomous driving technology from scratch. Intel is separately working on another partnership with Mobileye and Delphi centered on self-driving technology, with the goal of delivering a fully functioning system by 2019. This is not tied to a particular car manufacturer but rather to developing an autonomous-car system that can then be sold to automakers. The company also created a new business unit known as the Automated Driving Group and has vowed to spend $250 million over the next two years toward the development of autonomous vehicles. BMW, Intel, and Mobileye will have plenty of company in the self-driving market with the likes of Uber, Ford and Volkswagen — among others — also pursuing their own self-driving projects. Meanwhile, Google has spun off its self-driving car project into a new venture called Waymo with a view to eventually using the self driving technology in consumer vehicles as well as ridesharing, logistics and in last-mile situations. They recently signed a deal with Fiat Chrysler Automobiles NV to incorporate its technology into 100 Chrysler Pacifica plug-in hybrid minivans, which should hit public roads for testing sometime in 2017, and are also in talks with Honda for a technical collaboration along the same lines.